Tour d’Afrique 2013 by Laura Holms by Laura Holms: Sports & Adventure | Blurb Books. 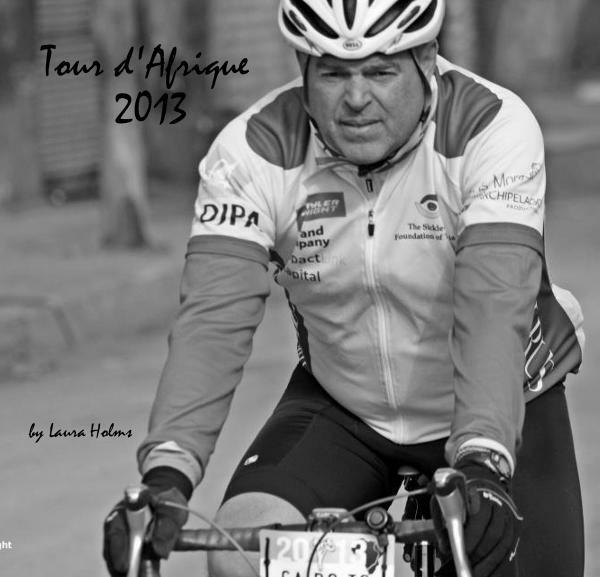 On January 11, 2013, exactly 1 year ago today, the 2013 Tour d’Afrique began in Cairo. A couple of weeks ago, my sister Laura surprised me by giving me a book for Christmas that compiles all of my blogs from the ride plus a collection of photos she gathered from other riders. It looks great and brings back many good memories. Yesterday the 2014 Tour d’Afrique riders left from Khartoum. I hope they enjoy their ride as much as the 2013 crew did. The 12,000 km of the 2013 Tour d’Afrique, bike race from Cairo to Cape Town, about 25% of which was off road. The frame is made of Reynolds 725 steel. I am 1m73 and I used the 54cm frame. The geometry was great. I was very comfortable on the bike after it was fit for me. I had no nagging aches or pains at any time. The paint chipped and abraded down to raw steel at several places. I chose steel because it can be repaired just about anywhere. But no repairs were needed. We were advised not to take carbon but several people did and not one of them had a problem. You can do some repairs to carbon anyway. Alloys seem to be less reliable. One alloy frame had a break and had to be scrapped. The Croix de Fer comes with Alexrims XD-Lites. These were excellent. They took a real pounding and stood up to it. I had them trued twice but just as part of preventive maintenance. They never went really out of whack. I used Schwalbe Marathon Plus – one set of 40mm and one set of 28mm They were superb. I had no punctures on the road. I did have one mysterious puncture in camp one evening. The bike came with 35mm Continental Cyclocross Race tires. I didn’t like these at all. I had several punctures while training before I left for the Tour. They are lightweight and thin and not suited to long rides in tough conditions. I didn’t even take them with me. The bike came with Avid BB7 mechanical disk brakes with 160mm rotors. They worked very well. They are easy to adjust. The original brake pads disintegrated in wet and muddy conditions. I replaced them with resin pads, which held up better. When the break pads disintegrated one of the rotors became very scarred. I replaced it. The bike came with a Tiagra group set. Both derailleurs bent under the tough conditions and handling. I replaced both with 105 derailleurs. The front derailleur performed better, not much difference in the rear derailleur. The bike came set up for racing, with two front chainrings (52/34) and an 11/26 ten speed rear cassette. I stayed with the front chainrings but soon switched to a 12/32 rear cassette. This helped on the hills but I still didn’t really have a granny gear. There was lots of sustained climbing of 12% and more. In future I would get three chainrings on the front. The headset is a weak point on this bike. 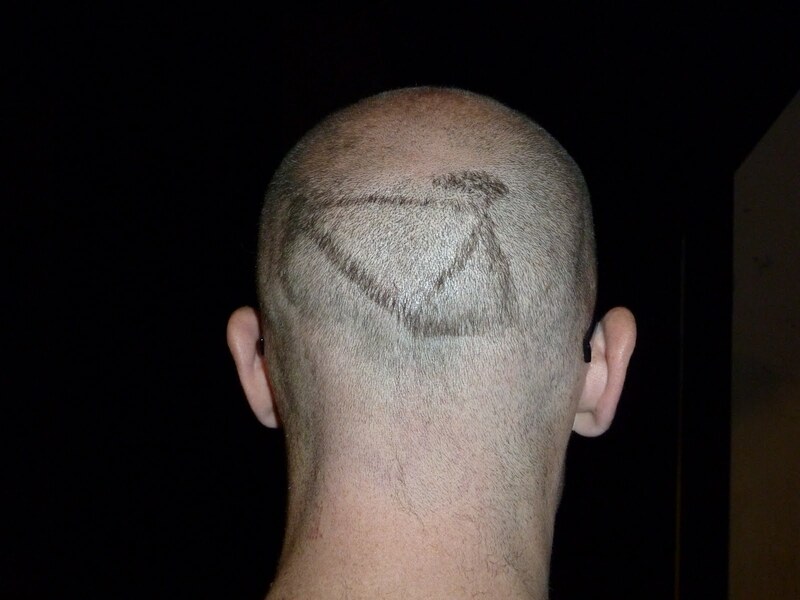 It is a cheap 1 1/8th threadless headset. Fine dust and sand gets in easily. I repacked it 4 times on Tour. It was not up to the very tough off road conditions. The headset became pitted and scarred. By the end, a couple of ball bearings had come out of one of the bearing races and the bearing race was bent and twisted. The front for is a fixed fork. This made off road riding unpleasant. You could do it. But you suffered, especially your ulnar nerves. There is also not very much top clearance. The tube that goes into the headset extends down into the fork. I had to file this away to put my 40mm tires on. Even then I only had a few mm of clearance. In dry conditions this is ok. In wet and muddy conditions it means you are always stopping to clear away the mud that is acting like a break. In future I would fit a front suspension fork. Genesis should consider making this available as an option. Once again there is a problem of clearance. I could fit the 40mm tire but there was a real problem in muddy conditions. The Crank is Tiagra and came with SPD pedals. Both were fine. The bottom bracket is a standard English threaded one. The first one lasted only 5,000 km (about 1000km pre-Tour and the first 4000km of the Tour). I might have expected a bit more out of it. I had no problems with the chains. There was a standard bit of stretch. I used three chains over the 12,000km. I changed it as part of regular maintenance rather than because of failure. I used Shimano 10 speed 105 replacement chains. I cleaned the chain and used dry lube very frequently. I had no problems with these but I did change them during the tour s part of routine maintenance. The bike came with Tiagra Brifters. They worked well. I had no problems at all. They were sometimes were infiltrated with sand and grit but were not difficult to clean. The bars fit me well and I liked them. The cushion in the bar tape didn’t last very long in wet conditions. The tape became hard and crusty. I soon replaced it with better bar tape with good cushioning – and in bright orange, with goes so much better with the black frame. The seat was a Genesis own brand. I found it very comfortable and had no saddle sores for the 6000km+ that I rode it. Unfortunately it broke on tough off road conditions. I had to ride 26km to the finish line on sharp rocks corrugation and sand with no seat. By the end of the Tour the seat post was firmly rusted into the seat bar. I had put some lubricant in at the beginning but it obviously didn’t last and I hadn’t checked it over the course of the long ride. But this is now a real pain. Damian at C & N Cycles has done a great job of getting my bike and all associated cycling kit for the Tour – and at a very welcome discount. Thanks Damian and C & N.
Don’t forget to donate to the Sickle Cell Foundation of Tanzania. About five months ago I signed up to do the full Tour d’Afrique in 2013. http://www.tourdafrique.com/ The music starts in just over two months. To recap: the Tour d’Afrique is a 12,000km bicycle race/expedition from Cairo to Cape Town. It travels through 10 African countries between January 11 and May 11 2013, averaging 125km a day. I expect there will be 50 riders. We will be supported by a couple of overland vehicles, a tour director, a cook, a mechanic, a nurse – and who knows who else. We camp along the way. So after cycling 130 or 150km we will have to set up tents and make ourselves at home. Water is for drinking not cleaning. We get a couple of rest days for every 10 or 12 cycling days. Approximately 75% of the route is paved, the rest is not – and could be pretty bad. I have spent the last five months getting ready. It’s been like having a second job. Fundraising (still lots to do), tour admin, training, buying stuff (everything from a new bike to a solar charger), organizing my work life so that I can manage four months off, organizing family life for such a long absence, learning how to set up a blog . . . the list has been long. But as the list shortens the serious work becomes more pressing – training, preparing the head, testing, adjusting and finalizing the bike. I think my body is ready for it. I was feeling fairly fit by the end of October. But with all of my work travel in November and December (Zimbabwe, DRC, Ghana, London, South Korea) I am feeling a little less sure of myself. I will have to try to get in some good miles in the last couple of weeks of December and then cycle back into fitness in Egypt. I also have a bad habit of not hydrating enough so I have been working on drinking whether I feel I need it or not. Believe it or not that’s tough. The bike also seems set. I got it at the end of September and put some good miles on it in October, including a hilly, 160km ride in 33OC heat. I think I have enough spares, although I have had far too many pinch punctures. Need to get some advice on this. Perhaps I am not inflating my tires enough – or perhaps too much. Maybe I am not taking the touch road conditions properly. Maybe I need tougher tires, although I have good continental cyclo-cross tires on the new bike and have ordered some Schwab marathons. And where is the mind? Can I speak of it in the third person? 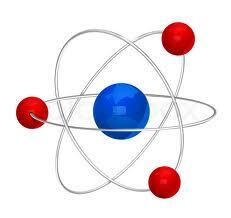 At the moment it is positive, enthusiastic, excited and cautious, which feels like a weird, tight rope kind of mix. It is a long haul, not a sprint. Energy and excitement have to be managed and not just released from the blocks. I am confident I will feel good at the start. I am curious to see how I will feel one week in, one month in, one month to go. I think perhaps you need to be more like Ivan Lendl than John McEnroe. But then McEnroe always looks like he’s having more fun. And it’s got to be about the fun. This is what the ride looks like. I am not exactly sure where I fit in these stats since I travel on both Canadian and UK passports and since I will be 59 at the start but 60 at the end. But it looks like a good mix of nationalities and ages. And it looks like I’ll have lots of company at the geriatric end of the scale. Two months to go. Got to get a haircut. Time to catch up. Been away for a while again. It started a week ago last Wednesday when I got up at 3am to catch a 5:10 flight to Zimbabwe – well actually a flight to Nairobi, followed by a flight to Gaborone, followed by a flight to Harare. A direct flight from Dar to Harare, if there were one, would take 2 ½ – 3 hours. Thanks to Kenya airways and their bizarre routing, it took me 12 hours. I did my schtick in Harare and then flew back to Dar on Friday – this time only two flights, one to Nairobi, then one to Dar. Up at 5am on Saturday to get ready to leave at 6 for the Selous game reserve. It is mid-term break for the kids and we were off on Safari. I cycled to Kibiti, about 160km and very hilly, where I met up with the family and a vehicle. We stayed in a local guesthouse across from the police station in Kibiti that night. Nice little place with about ten rooms around an inner courtyard, showers and loos in a block at the end. We got two rooms for 16,000 shillings, about US$10. Next morning we did about 100km on bad dirt and sand roads into the game reserve, where we spent 4 days. It is very dry in the park this time of year. No real rains yet, so lots of game near the water. 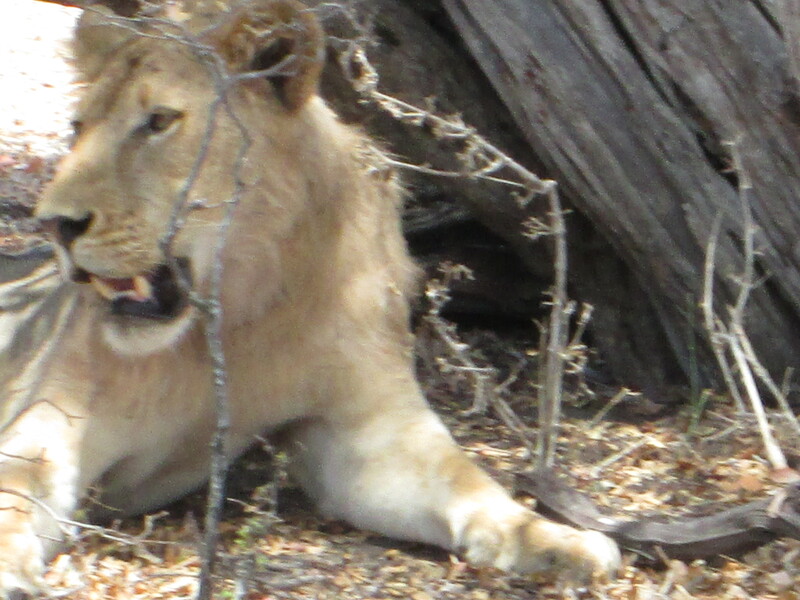 We saw 15 different lions, lots of crocs, buffalo, elephants, giraffe, hippos, kudu, wart hogs and impala. No leopard this time though. After arriving in Kibiti the Saturday before I had sent my bike back to Dar in another vehicle with Georgina, who had cycled down with me but had to get back to Dar that evening. When I got back to Dar on Wednesday night I found that both tires on the croix de fer were flat again. X!c@##! What is it with me and slow-leak, pinch punctures? There were a lot of corrugated speed bumps on the road, at the front and back ends of every village we cycled through. I can only think that I went over some of these too fast and hard and pinched the tubes. But this is ridiculous. I can’t get off and carry my bike over every speed bump. Haven’t had the new bike for a month yet and I have already had 4 flats. I feel like I am single handedly keeping a rubber plantation in business. On Saturday I decided to try and patch some of the punctured tubes that have been piling up in the garage. I have not been very environmentally responsible this last year. Instead of patching tubes I have simply put in a new one and thrown the punctured one on the pile in the garage. There were eighteen of them. Three were beyond repair. Two had exploded and had foot long tears in them. One has so many holes it would have been more patch than tube. These three went to my daughter who wants to be Medusa for Halloween and will use them to create a writhing snake wig. The others all looked sort of repairable. I had three new patch kits and set to work. Seven tubes had pinch punctures so each had two holes, side by side, one from each side of the rim. These were tricky. The other eight all had single holes. Twenty-two patches later I had almost used up all of my three new patch kits – you only get 8 patches in a kit. I inflated them all and left them overnight to see which ones would hold. Five didn’t. So I have retrieved 10 tubes. Not too bad I guess. May have another crack at the five that still leak. Maybe not. Maybe more rubber snakes for the Medusa wig. At any rate, need to get some more patch kits. Chris would say forget the tubes and get tubeless tires. He has a point. 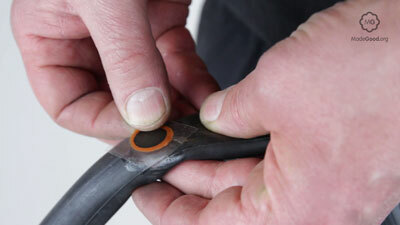 No pinch punctures with tubeless. Also had the back wheel of the TREK – the wheel with all the broken spokes – properly trued. Mejah, who runs a bicycle advocacy group in Tanzania called UWABA, http://www.uwaba.or.tz/ has a good mechanic who did it for me. No flats for five days now. I think ‘new bike’ and I are getting along better. While I like my new bike I am not so sure it likes me – or at least what I am doing to it. I have had two flats this week. Is this the new bike’s way of telling me something? Both flats were pinch punctures; both resulted from landing hard on big pieces of concrete. The first happened when I tried to jump a culvert and came down on an edge with my back wheel; the second when I was coming off a dirt track and tried to jump a high concrete curb onto a road surface. The front wheel made it – the back wheel not quite. In both cases the tire stayed inflated for the rest of the ride. I didn’t discover the flats until the next morning. It was as if the new bike had had time to think about what I had done and decided, somewhat perversely and belatedly, to get back at me. I noticed the first flat at 5:30 one morning. I was due to join some others for a ride at 6:00. So I changed the tire and started to pump it up. Either I wasn’t paying enough attention or the tire was defective. At any rate it exploded! Very loudly! Everybody else in the house had still been asleep. I sheepishly replaced the tube and left for my ride. But I did hear about it later. My new bike had found a clever way to enlist some allies. Apologies are due. I promise to be more gentle.